O4 and O5 down screen and O1 and O2 come off these screens. O3 enters the ball to O1. O3 after passing cuts off O4's screen and O5. 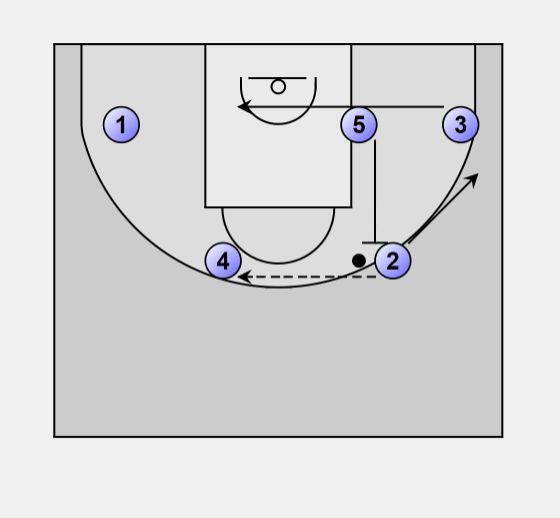 O1 pass the ball to O2 and then receives an up screen from O4. O2 passes the ball to O4. O5 then up screens for O2 who flares.